Software-defined networking (SDN) is getting real. It has already started to revolutionize data center networks near you, and now has its sights set on other network components. With SDN, network engineers will soon be able to improve security, management, and application performance – all without breaking the bank. 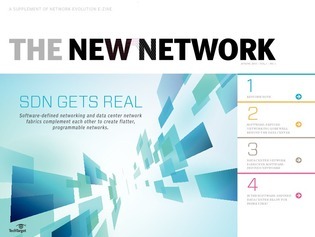 This Network Evolution E-Zine supplement takes a look at what lies behind the software-defined data center to explore if it will come through with the promise of orchestration and automation across all network, compute, and storage resources.